When I was an archaeologist, I loved drawing soil profiles; essentially sketching the layers of soil uncovered during excavation. 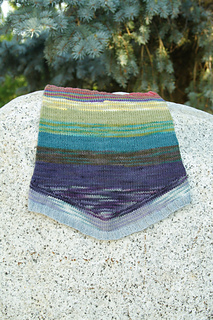 The gently flowing stripes of color, created using the Lorna’s Little Bites kits from Jimmy Beans Wool, reminded me of that soil stratigraphy, albeit a much more colorful one! 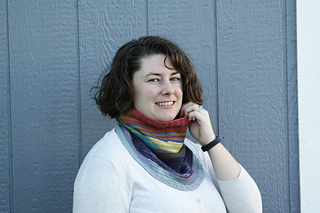 The short row shaping adds more fabric to the front of the cowl so there is less bulk around the back of the neck. 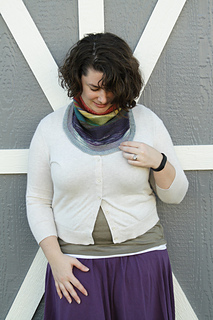 It also adds some interesting details to the plain stockinette body of the cowl. 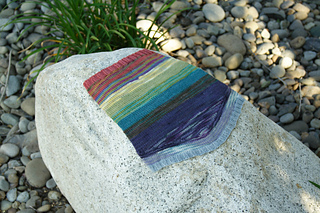 While it looks great in stripes, it would also be gorgeous in a solid or variegated color! 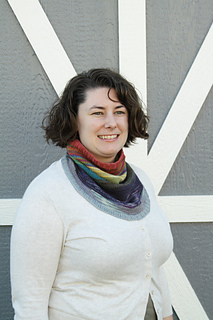 The size of the cowl is easily customizable; you can add or remove length in the stockinette body to suit your yardage or size preference!